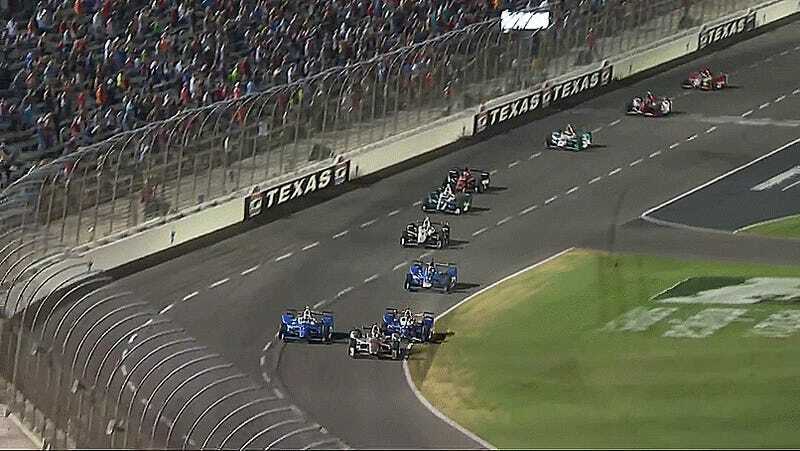 After a gigantic crash earlier whittled down the field to only half of the cars that started tonight’s IndyCar race at Texas Motor Speedway, this year’s Indianapolis 500 winner Takuma Sato spun out after hitting the grass and took out four more cars. Ouch. With only four laps to go in the race, everyone was making riskier and riskier moves trying to fight for the lead. Sato dropped a wheel onto the infield grass, unsettling his car and losing control of the rear. 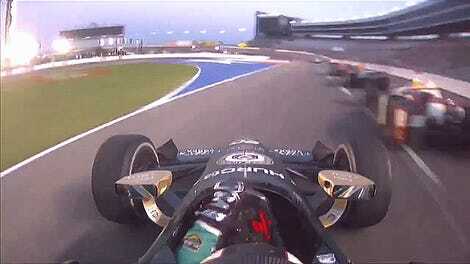 He spins into Scott Dixon, Conor Daly spins to avoid the crash, and Max Chilton hits Dixon’s car. 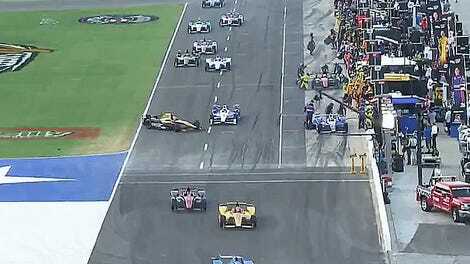 Additionally, Marco Andretti had to pit for new tires after the incident, likely hitting some of the debris. Only nine of the 22 cars that started the race finished, just six of which finished on the lead lap. The remaining laps were finished under a yellow flag, with Will Power winning the race. Driver Tony Kanaan bemoaned the fact that tonight’s race was a “pack race” in his post-race interviews, with cars making risky moves bunched close-together. All I know was this was the most insane war of attrition I’ve seen in a long time.